Following on from my previous post, I was asked to explain why good advice costs more. In my opinion, it does and it doesn’t. While that might sound like a consultant’s response, let me explain. Good advice, as in the right advice, is well considered, able to be executed and actually solves the problem. It will probably cost more at the point of receiving it. Good advice is the result of more work and greater experience. Experienced practitioners of any discipline have years, if not decades, of experience in their area of specialisation. They have probably encountered your particular kind of problem many times and have experienced every variation of possible causes, solutions and results. They might know everything there is to know about how to tackle the issue, however they still discipline themselves to systematically work through the issue to identify exact causes and work through all of the available options to identify the best solution. They do not ‘jump to solutions’ without thoroughly understanding the problem. A good analogy is the medical practitioner who will diagnose symptoms and eliminate possible causes through a series of tests and investigations before prescribing medication or advising on surgery. Good advice solves problem faster, more effectively and often permanently. The same applies to business advice, market research or product launches. 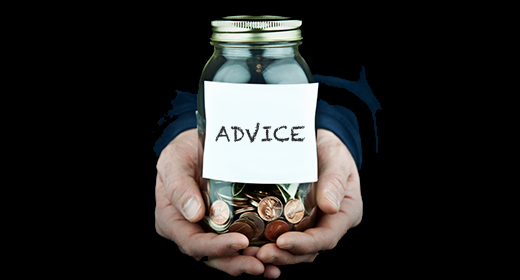 Good advice will cost less in the long run as it will be well researched, based on experience and thorough investigation and in most cases will not need to be redone.